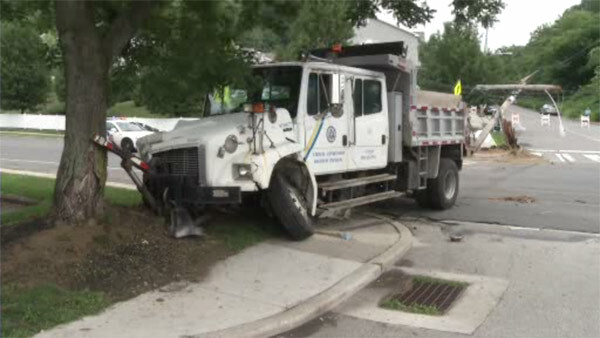 ROXBOROUGH (WPVI) -- Philadelphia Police are investigating an accident in which a city dump truck crashed and struck a utility pole. The crash happened around 9:30 a.m. Saturday morning in the Roxborough section of Philadelphia. Police told Action News that the driver said the brakes failed on the truck as he was traveling on Parker Street. The vehicle sustained some damage. Fortunately the driver was able to escape with only a few cuts and bruises.